Elizabeth Warren isn't waiting for the next president before calling for a shakeup at Corporate America's top regulator. The senator and Hillary Clinton supporter called on President Obama to boot Mary Jo White from her job as chairwoman of the Securities and Exchange Commission. Warren says White is not doing enough to keep businesses from pouring cash into politics. Warren argues the SEC should have already drafted new rules requiring corporations to disclose details of their political spending. "For years ... Mary Jo White has refused to develop a political spending disclosure rule despite her clear authority to do so, and despite unprecedented and overwhelming investor and public support for such a rule," Warren wrote in a letter to Obama. She claimed White is "ignoring the SEC's core mission of investor protection." Corporations can not make contributions directly to political candidates. They can give unlimited amounts to Super PACs, but those contributions are disclosed to the Federal Election Commission. However, advocacy groups known as 501(c) organizations are not required to disclose the source of their funding. Warren charges that "corporations are flooding our elections with millions of dollars in secret political contributions." She also complained that the SEC has yet to put rules into effect as required by Dodd-Frank, the law that overhauled regulation of Wall Street following the 2008 meltdown in financial markets. The president can't actually fire the head of the SEC, but he can demote White to a simple commission membership and tap another member as chair. "I do not make this request lightly," Warren's letter concludes. "It is clear that Chair White is set on her course. The only way to return the SEC to its intended purpose is to change its leadership." 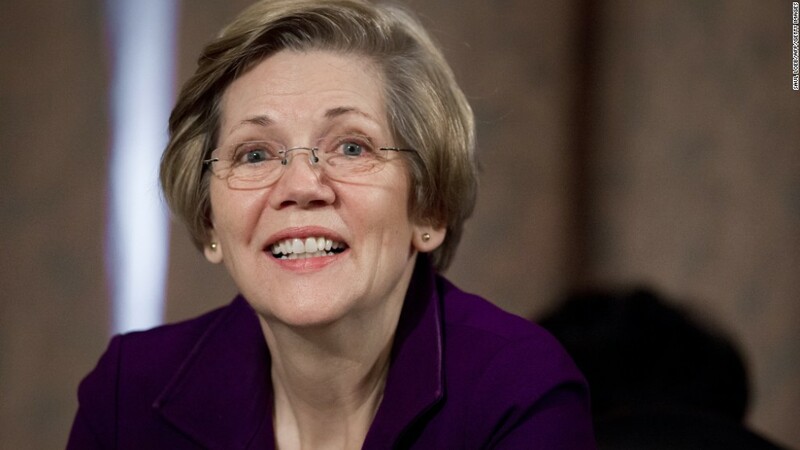 An SEC spokeswoman declined to comment on Warren's letter to Obama. Warren, a scourge of Wall Street, has been critical of White almost from when Obama named White to head the SEC at the start of his second term as president. White's term runs through 2019. At a Senate hearing in June, Warren said the SEC was proposing rules that would limit corporate disclosure rather than improve it. "Your job is to look out for investors, but you've put the interests of the Chamber of Commerce and their big business members at the top of your priority list," she said to White. "A year ago I called your leadership at the SEC extremely disappointing. Today I am more disappointed than ever." White responded: "I'm disappointed in your disappointment, and could not disagree any more with your characterization of what we're trying to do."